Window blinds and shutters have become staples in many homes, as they provide ventilation while maintaining privacy. Of course, blinds and shutters are not only functional, but can also an extra dash of flare to your home. There are many different styles of both blinds and shutters, so it's important for homeowners to understand the range of window blind prices and window shutter prices so they can budget accordingly. To learn more about window blind prices and window shutter prices, check out our helpful guide. In general, blinds can cost anywhere from $10 to $200. However, this cost depends on the material of your blinds. Vinyl is generally the cheapest material, costing anywhere from $20 to $60. Aluminum blinds are slightly more expensive, costing $30 to $80. Wood blinds are the most expensive, with price tags ranging from $60 to $130. Most blinds will cost less than $150, and it is only custom-made blinds that will cost more than this. Window shutter prices vary widely depending on the size of your windows and the kind of material you want to use. For your interior, window shutter prices generally range from $60 to $100. For your exterior shutters, window shutter prices can be as low as $40 to $80. However, custom window shutter prices can be much higher. For custom window shutter prices, expect to spend as much as $700 for interior shutters, and between $600 and $4000 for exterior shutters. Keep in mind that blinds and shutters offer you greater control over privacy, ventilation, and the amount of light than the average curtain. Blinds and shutters work well in rooms with more moisture, such as bathrooms and kitchens. Additionally, blinds and shutters are great treatments for bedroom windows, as they allow you more control over the light in the room, allowing to shut out the outside world for relaxation and privacy. When researching window blind and window shutter prices, it's important to understand the potential for savings. 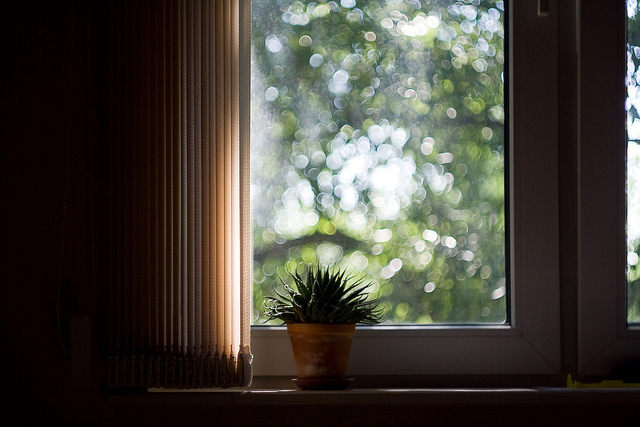 Both blinds and shutters can reduce your energy bills by boosting your home’s energy efficiency. Blinds are instrumental when it comes to blocking out summer light and heat, so they can help shave air-conditioning costs for homes in warm climates. Along the same lines, louvered shutters provide excellent airflow while still blocking intense sunlight. However, neither of these models is effective at preventing heat loss during cold weather. To prevent heat loss, solid shutters, such as raised panel shutters, give your home an invaluable insulating layer and help minimize heating costs in cold climates. Knowing this information, window blind prices and window shutter prices become less daunting, as installing them can ultimately save you money. With such a wide variety of window blind prices and window shutter prices, thrifty homeowners will have no trouble finding affordable window treatments. By the same token, homeowners with slightly larger budgets can spend more on custom models. Combined with energy efficiency and versatility, window blind prices and window shutter prices ensure that blinds and shutters will be a staple in your home for years to come.